BATTLE GROUND, Wash., July 16, 2018 /PRNewswire/ -- The Money Show, founded in 1981, is a privately held financial media company headquartered in Sarasota, Florida, as a global network of investing and trading education. Money Show presents an extensive agenda of live and online events that attract over 75,000 investors, traders and financial advisors from around the world. Treasure Investments Corporation (TIC) was given the opportunity to attend and exhibit at the Orlando Money Show conference. 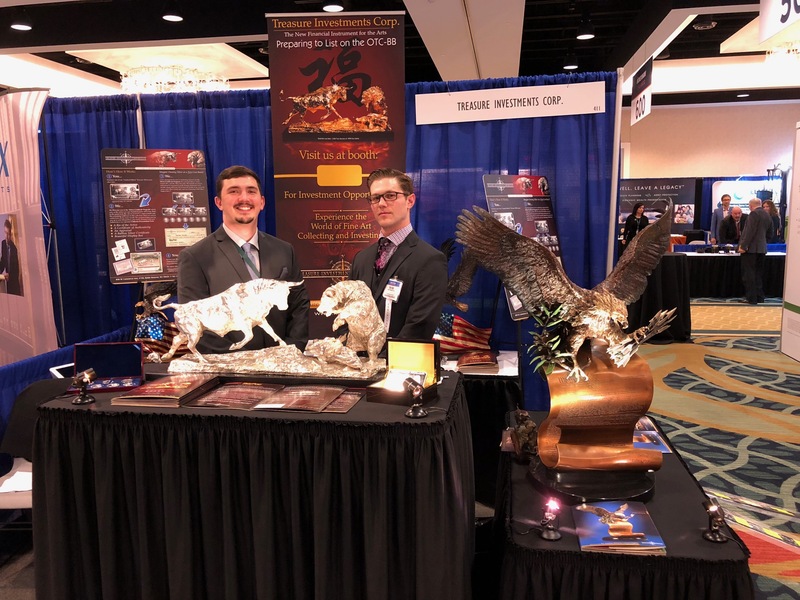 "After being accepted to attend the trade show, it was a great honor for us to show our company opportunity and product to this incredible and investor-minded audience," says Mark Russo, CEO of Treasure Investments Corporation. "This venue is very exciting for us because we get to share the vision of the company, what we do, how we do it, our growth potential and the opportunity for an investor to own stock in our company," says Russo. 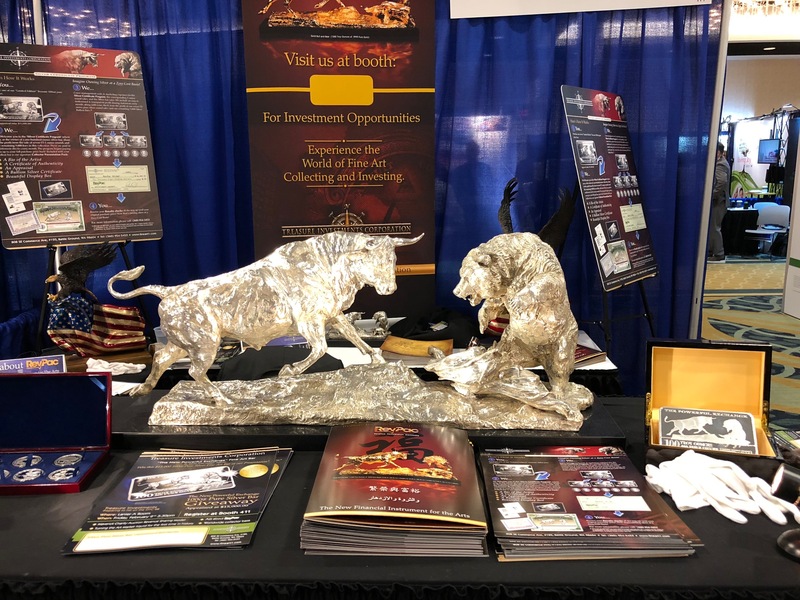 TIC set up a beautiful display showing our bronze and pure silver sculptures and was also given the opportunity to present our company offering in a breakout session explaining the business model to interested investors. "We sold product at the event and generated a lot of shareholder interest; there is nothing like our charity auction model. It was a success," says Ricky Reed, manager for TIC. 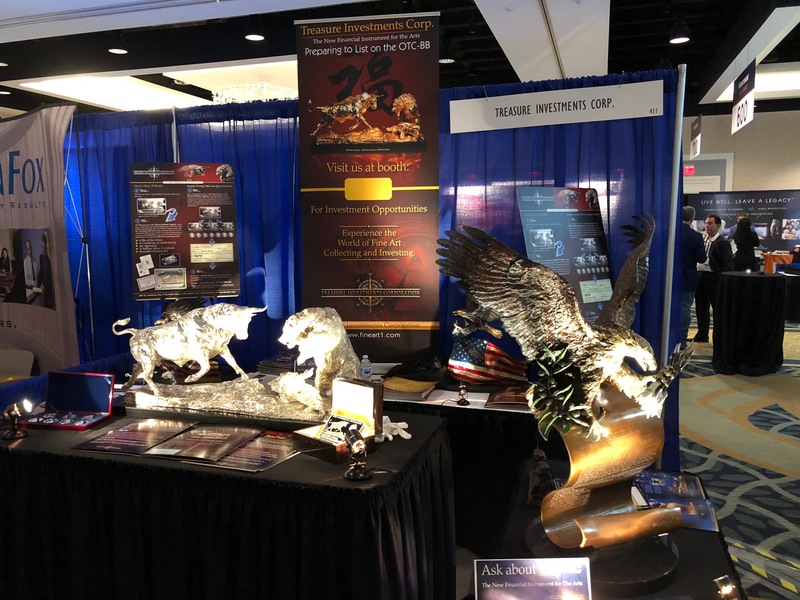 Treasure Investments Corp has a diverse business platform, creating and providing fine art in original sculptures from small desktop images and collectibles to larger-than-life heroic monuments. The company's master mold collection contains hundreds of original molds from world-famous artists in the United States and Europe. For more information, visit Fineart1.com.